Based in Zambia on a “Robinson Crusoe” island on the upper Zambezi, Sekoma Lodge is a mere 80 km upriver from Victoria Falls, in the heart of world class tiger fish and bream country. Lying in the eastern corner of the Caprivi strip, it is easily accessed by flying to Livingstone in Zambia or to Kasane (Botswana). Alternatively one can drive to Kasane and leave their vehicles in a security-protected area while they enjoy a superb breakaway holiday. Sekoma provides an ideal and affordable base for the keen angler intent on pursuing the world-renowned tiger fish as well as the large bream that abound these waters. There are many miles of productive water, including accessing the exciting floodplains fishing in season, as well as the possibility of experiencing a Zambezi catfish run. All-method angling can be practiced all year round, but fly fishing and lure angling takes place from June – March. The biggest tiger fish taken in 2005 on fly was 16 lbs with an enviable number of double-figure fish also recorded. Sekoma has eight luxury, twin bedded tents with en-suite bathrooms, which are fully tiled with spacious showers. Each tent is raised on wooden decks, each with their own breathtaking view of the Zambezi and the Mambova rapids (near Impalila Island). Each room can be easily converted in to one queen-size double or two singles. Each bed is set up with two comfortable pillows, a duvet, a warm blanket for winter and a throw-over sheet for the heat of summer. The bathrooms are en-suite and fully tiled. Each bathroom is supplied with soap, shampoo and towels and there is a free laundry service, just to help you cut down the over packing of clothes. Insect repellent and mosquito coils are also provided in each tent. There is a fully thatched communal area, dining area, lounge and wooden deck extending out on to the Zambezi River. In the communal area we have a fully stocked bar, wicker sofas to relax on. From the deck, many different species of fish feed beneath the lights at night. Sekoma Island Lodge can provide hosted fishing trips with a minimum of 4 passengers and a maximum of 16. These trips are generally 5 days/4 nights and can be arranged for longer if desired. At the start of the trip, anglers are briefed by the owner on both traditional and modern fishing techniques relevant to the target species. The overall purpose in that everybody learns on a Hosted Trip. While wild fish are never that predictable, your chance of coming to grips with trophy fish is enhanced by this approach. The accommodation, food, boat and fuel are included in the tour price. Drinks, gratuities and items of personal nature are not included and are the responsibility of individual anglers. Sekoma has a fleet of eight boats and 8 Ark inflatables consisting of a mixture of aluminum and fiberglass bass boats all with flat-carpeted decks. The boats have been modified to facilitate both conventional fisherman and fly-fisher alike. The casting platforms have been modified on the aluminum boats, which are fly fishing friendly. Carpeted platforms and snag free edges to save fly lines from getting damaged. All boats are powered by 55 hp & 60hp Yamaha outboard motors, which get the anglers to fishing spots swiftly. 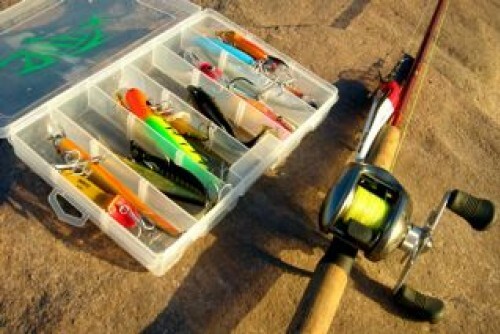 Boats take a maximum 2 fly fisherman and 3 lure fisherman per outing. The inflatables are used in the lower water from July to February to access the rapids and channels around the islands in the area. These areas are inaccessible by boats or by foot so anglers have exclusivity of these virgin waters. 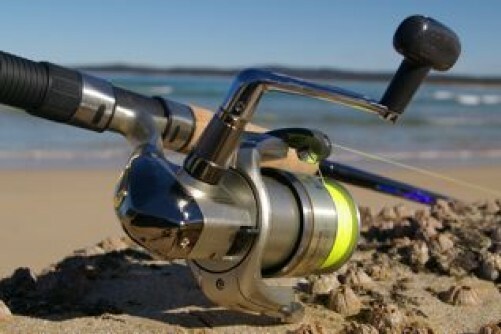 While fishing is generally good most of the year, different months and seasons offer different species to the angler. More species are available when the water is warmer and clearer, which is generally during the summer months. The seasonal rains (October-November) introduce more oxygen into the system, making the tiger fish, in particular, more active and aggressive. Fishing during May-August (the winter months) can be superb as the water from the annual floods start draining off the flood plains bringing thousands of baitfish back into the main channels. Large concentrations of tiger fish between four and twenty pounds gather around these areas and often go on a feeding frenzy making them easy targets to hook – but not to land! The tiger fish chase the baitfish to the surface forming bait balls, and one can sight fish these huge fish when they break the surface. Fishing with Rabbit patterns like the Yellow Rabbit and Malcolm’s Rabbit as well as large Deceivers and Clouser Minnows flies or Effzett spoons for the lure anglers are very effective. Nor is it uncommon to latch into a monster Nembwe whilst targeting the tiger fish. Based in Zambia on a “Robinson Crusoe” island on the upper Zambezi, Sekoma Lodge is a mere 80 km upriver from Victoria Falls, in the heart of world class tigerfish and bream country. Lying in the eastern corner of the Caprivi strip, it is easily accessed by flying to Livingstone in Zambia or to Kasane (Botswana). Alternatively one can drive to Kasane and leave their vehicles in a security-protected area while they enjoy a superb breakaway holiday. Sekoma Island Lodge caters for a broad range of angling needs providing high standard angling support, accommodation and food.